with us is as simple as vroom vroom vroom! If you need to make a claim, the easiest way to do this is online. It only takes a few minutes. Simply click the button above to get started. We'll need a copy of your Rental Vehicle Agreement and receipts showing charges made. If you would rather speak to us first, we’re happy to help. We have a dedicated team on hand to guide you through the claims process. To upload documents to an exisiting claim, please enter your Claim Number below. The Claim Number you entered is invalid. FIND MY CLAIM What is my claim number? Your Claim Number is unique and is used to locate your claim to ensure documents are attached to the right policy. 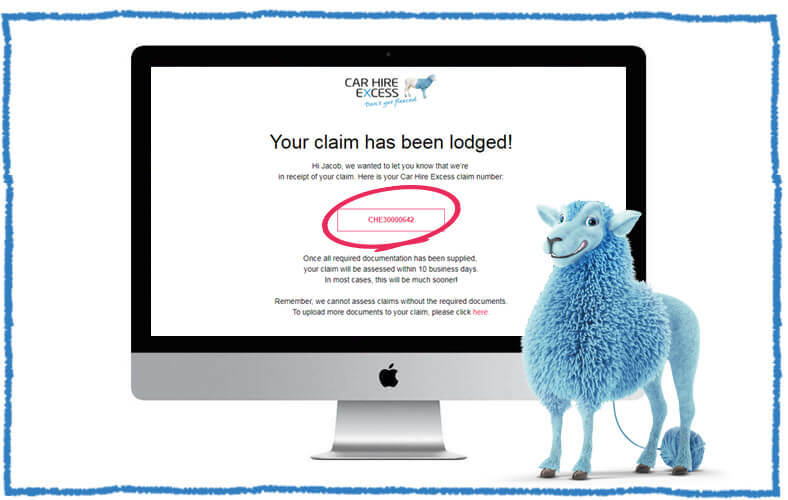 It starts with CHE and can be found within the confirmation email you received when your claim was initially lodged. or call us on 1300 383 550 (within Australia) or +61 7 3164 3261 (from overseas).